2. Combine sugar, shortening, salt, heavy cream, egg, flour and boiling water in a large bowl; stir in yeast mixture. With the dough hook attachment of an electric mixer on medium speed, mix the dough just until combined and smooth. Let dough rest for 30 minutes. 3. 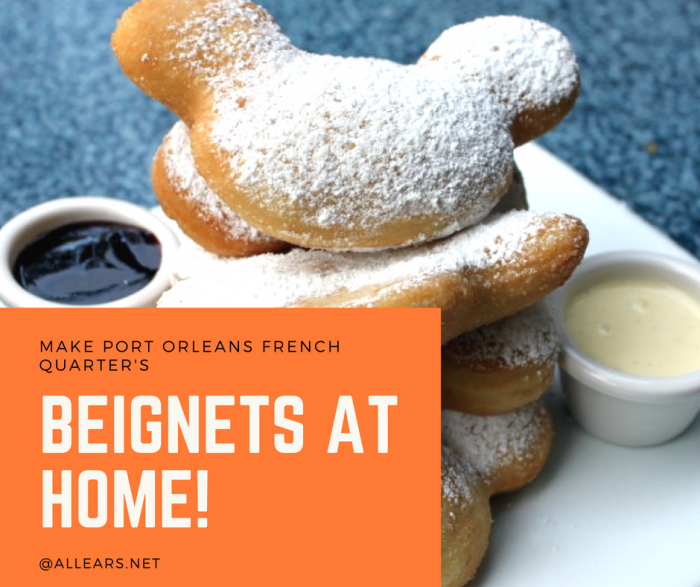 Roll to 1/4-inch thickness and cut individual beignets into 2 x 3-inch pieces. Cover with a towel and let dough rise until doubled in size in a warm, draft-free area, about 1 to 1 1/2 hours. 4. Pour enough oil into a deep-sided pot until it reaches 2 inches up sides; heat oil over medium heat to 350ºF. 5. Lightly press beignets to flatten slightly. 6. Add a few beignets to oil; fry until golden brown on both sides, turning once. 7. Remove from hot oil with a slotted spoon and place on a baking sheet lined with paper towels. 8. Dust with a generous amount of confectioners’ sugar before serving. NOTE: Dough keeps well in refrigerator for several days. Cover bowl with plastic wrap and punch down occassionally.